In S.P. “Nestrėvaitis” warehouse You can always purchase properly packaged and ready to be transported fir or pinewood planks. 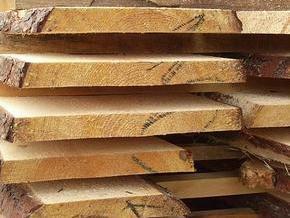 Sawn fir timber is resistant to flexure, because the tree has small, firmly grown in branches, binding splint, which, under heavy load, does not break, but cracks and bends. This is very suitable choice for construction wood. Time tested and valued by many of customers. Pine wood products are used for decoration, and under lower load, because pine tree has large branches it does not bend but breaks right away. By no means it is a bad choice. It is used quite often and for various purposes. Freshly cut wood is not dried, non-calibrated and chemically untreated wood production. Calibrated planks are double cut planks, which are passed through four-sided planning machines. These planks has a particularly precise cross-sectional dimensions. This procedure is performed for the production which requires more precision, for example: exterior claddings, fence boards, decorative wood and similar products. Dried planks are planks, which are dried in our dryers until the moisture is 18-20%. These planks are mostly used in the construction of the roof, in addition, all the purveyance for paneling planks, exterior claddings, terrace planks and fence planks must be dried. Planed planks – dried planks can be planed, thus obtaining smooth, precise and sleek surface. Mostly planks used for decoration or only their sides, visible from the outside is processed this way. High quality single cut planks and other sawn wood products can be delivered anywhere in Lithuania. We deliver our products and unload them at the address given: in your yard, construction site, or any location which is convenient for You. In one run when can transport from 1m3 to 40 m3 dried, freshly cut or impregnated by deep vacuum wood.